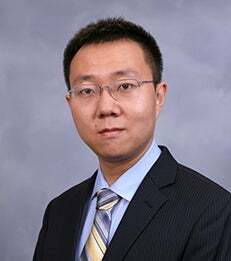 Professor Xi Chen, NYU Stern assistant professor in the department of Technology, Operations, and Statistics, has been recognized by the National Science Foundation (NSF) with its Faculty Early Career Development Award (CAREER). As part of this prestigious award, Professor Chen will receive a total of $500,000 over the next five years to further his research in developing new statistical learning frameworks and online decision-making algorithms and in exploring applications to data-driven revenue management and crowdsourcing. The CAREER Program is a highly competitive, Foundation-wide activity that offers the NSF’s most prestigious awards in support of junior faculty who exemplify the role of teacher-scholars through outstanding research, excellent education, and the integration of education and research within the context of the mission of their organizations. Professor Chen’s research strives to develop a unified sequential statistical learning and online decision-making framework, which serves as an intellectual bridge connecting machine learning, stochastic optimization and decision theory. While traditional statistical learning usually deals with given static data, many online data are now collected via a sequence of interactions with agents (e.g., customers or crowd workers). The learned information from online data will help make better operational decisions such as price, ranking of items for display and recommended assortments of products. The developed statistical learning algorithms will be used in various industries, such as e-commerce and crowdsourcing. The objective of this research is to develop new sequential learning algorithms with rigorous theoretical guarantees. The developed framework will not only make fundamental technical contributions, but also facilitate many important applications in assortment planning, dynamic pricing and crowdsourcing. For example, it will greatly improve the aggregated answers from crowd labelers with a significantly reduced cost. It can enhance the revenue of businesses while improving customers’ satisfaction by providing accurate recommendations. Moreover, since the computational efficiency and scalability is an important focus, the research will also advance the distributed statistical learning and stochastic optimization fields.